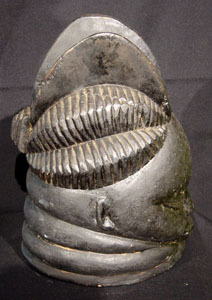 Mende tribe, Bundu shrine piece, This is not a mask for wearing, but is kept at the shrine for taking the oath in the women's Sande Society. 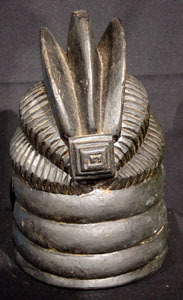 7 1/2" diameter x 10 1/2"
$575 Click here for payment information and shipping quote using item #. Please reference the stock number for this item. If you want a detailed description of the condition, please make your request BEFORE placing an order. 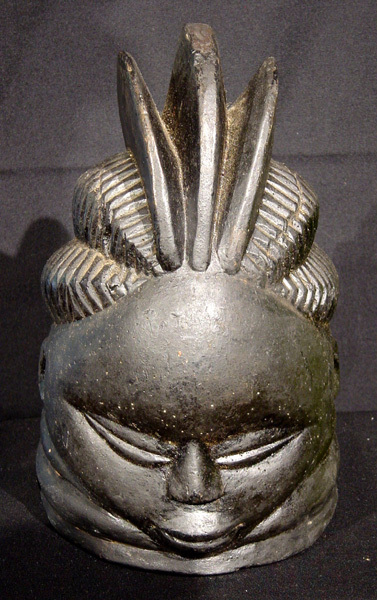 Bundu Masks are used in the women's secret society known as Sande. 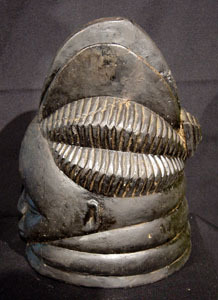 They are a reflection of the Mende people's perception of ideal beauty and are worn during the initiation ceremony for young girls who are entering womanhood.